We come old into a world newly born. Conditions change so fast on the ground and yet we are walking receivers of traditions that defy objective temporal markers. Poems mark an intersection of the new, the news, and something outside that pressure of reality, something that resists such presence. The more resistant they are to the present, the more a perfect voicelessness emerges. In other words, it’s not what poems say, it’s what they do. And for those of us who prefer to read between the lines, it’s also what they don’t do, either by refusing or by chronic (and enabling) disability. The two generations of poets gathered here came of age in the 1960s to 2000s. The older group started to publish during the heyday of Tito’s Yugoslavia and pretty much all of these poets were around for the demise of Tito’s “non-aligned” Communist amalgam of different ethnic groups. The older poets, the same generation as the American Baby Boomers, were born immediately after the Second World War (with a few exceptions of poets born during the war) and began publishing during the Cold War, while the younger poets lived through terrifying civil wars and regime changes of the post-Communist period (the youngest poet in the anthology was born in 1981). Whatever tumult we have experienced in North America and Western Europe in the postwar years, the world these poets found is something far more wrenching (although with some parallels to the experience of their fellow Russian poets). Serbia is on the border of West and East. For poetry, perhaps nothing better exemplifies this than the fact that Serbian can be written with both Cyrillic and Roman letters. The presence of Slavic culture is a crucial background. But the 1980s in Yugoslavia was a culturally open time, including the strong presence of American and Western European pop culture. It’s impossible for an outsider to fully understand the poetry politics of post-Communist Yugoslavia, but this anthology gives a ring-side view and maybe not having a score card is an advantage, since if there are sides, you can’t immediately see how that plays out. The most frequent word in the poetry collected here is dark. But there is also love, eyes, light, god, nothing, everything, water, words, and window. There are 71 poets, half women. The poems range from the more image-based, quasi-surrealist, yet conventionally legible work, associated with Charles Simic and the startling Radmila Lazić, on one end of the spectrum, to the formal/conceptual radicalism of Judita Šalgo and Slobodan Tišma, who declares “Writing is always connected with thinking, alas / With philosophy, that goes for the scribbling as well.”  There is often a foreboding, biting humor and sense of engaged distance, self-observation. The poetry is sometimes sexually explicit. The grotesque and the diasporic dance deep into the night. I was first in touch with Durbravka Djurić in the mid-1980s. My first poem, translated by Nina Zivancevici nto what was then called Serbo-Croatian was published in Polja in 1987 and Djuric edited a selection related to L=A=N=G=U=A=G=E in Delo in 1989. James Sherry and I visited Djurić in 1991, reading in both Belgrade and Novi Sad. And Djurić and Miško Šuvaković spent a semester at SUNY-Buffalo the following year, as Poetics Program International Fellows. We have been in frequent correspondence for thirty years. Djurić has been a strong advocate of both feminism and poetic innovation, which is made explicit in her many translations of contemporary American poets. This anthology should be read next to Impossible Histories: Historic Avant-Gardes, Neo-Avant-Gardes, and Post-Avant-Gardes in Yugoslavia, 1918-1991, edited by Djurić and Šuvaković (Boston: MIT Press, 2003). There are around 10 million speakers of Serbian, 16 million if we say Serbo-Croatian. That’s comparable to Dutch but greater than Hungarian or Greek. For an outsider reading this collection, what is most striking is not the many ways that the poems resemble what is familiar to us, and take up similar styles or attitudes, but the way the poems are unfamiliar, slightly off synch, approaching, and falling off, different edges. Of course, reading this book entirely in English, without any sense of the sound of Serbian, or the history of Serbian poetry, makes for an experience that the poets themselves cannot have. It is a work of English language poetry in its own right, thanks especially to the remarkable work of the lead translator, Biljana D. Obradović. The poems come to us shorn of some of their history but taking on new meanings for this new context. This is yet another new border, another new intersection, for these poem. 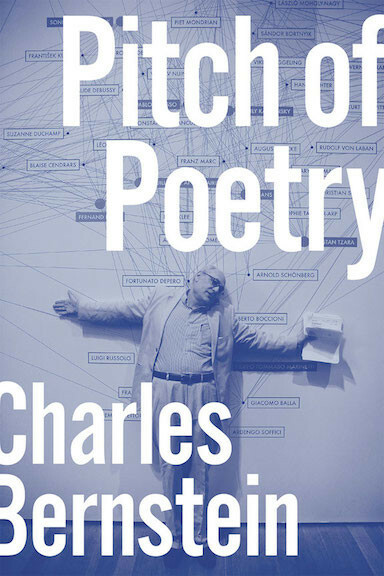 Perhaps the ideal reader would come to all these poets fresh, hearing this book as a conversation over time: a plotless novel in verse. It’s not just what the poems say or do, it is what they become. The poetry is what is found in translation. See the page I created for Djurić at the EPC for more of this history. See also our collaborative translations of, and commentaries on, Slobodon Tišma at Jacket 2. Poets all, but also editors, teachers, translators, journalists, members of PEN and full participants in their national cultural networks—these Serbian writers from the past seventy years present a rich and nuanced range of poetic modes, with themes that range from exile, peace, war, strains in cities, to daily life, and love with its ironies, losses and challenges. Often well attuned to "day-to-day banality, absurdity" (Tadić), the work in this anthology offers a fine range of contemporary writing in Serbia with special attention to the intersection of individual personal life and political events on a large scale. There's some frank notice paid to gender by some of the women poets (Djurić, Knežević, Ristović, Solar, Vojnović). The micro and macro often cross where these poets stand ("We built cities. Then we destroyed them," S. Marković) and among the deep textures of loss and gain one finds a poem that concerns burning extra copies of one's own book of poetry to stay warm (M. Djordević), but always, for these poets, "Sing, whispers the tiny angel" (B. Milanović). A useful, informative, and enriching book. Arriving through centuries of one of the richest and most complex histories in Europe, Contemporary Serbian Poetry continues to confront that history in amazing new ways as Radmila Lazić writes "Through a fiery hoop I'd jump / Into everyone's throat or heart, So, I can be born again in labor pains." Those labor pains create a stunning poetry that this incredibly full anthology brilliantly brings out not only through better known poets such as Ana Ristović, Novica Tadić and Ljiljana Djurdjić but a host of other names that, through this anthology, are sure to become well known. Add to that the host of international brilliant translators and you have not only the definitive Serbian anthology but a major anthology of poetry that sets a new standard for all future poetry anthologies. This is an essential book, dazzling in breadth and depth, a treasure to be thankful for. What Dubravka Djurić & Biljana Obradović have done in Cat Painters is to produce an anthology-as-assemblage, a dynamic composition that offers in its own right a new poetry & poetics that can now enrich our own sense of what's still possible poetry. The range of the poems presented here is remarkable, a true avant-garde moment as a reflection of the turbulent times from which it comes. Far from being a gathering of the already known it is, like the best & rarest of our anthologies, an opening to a treasury of language (word & image) that one could hardly have imagined before this. But the sighting, once it occurs, will not soon be forgotten. Great poetry is always born out of struggle. 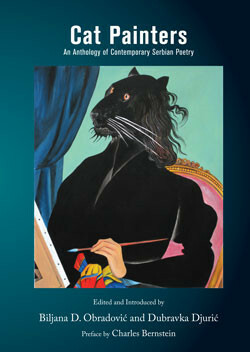 The "cat-painter" poets in this exciting new anthology of contemporary Serbian poetry are a very diverse group of men and women, but they have in common their coming of age at a time of great turmoil and transition for their native Serbia. 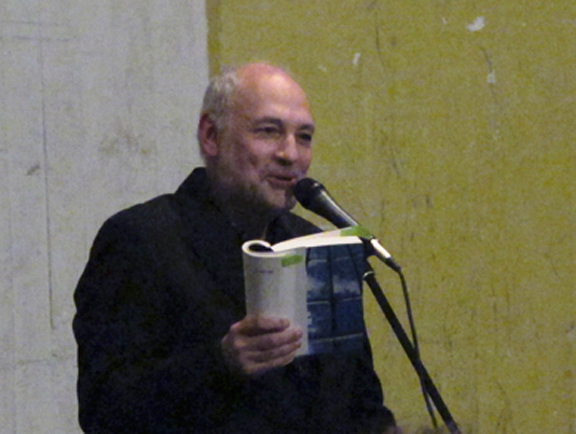 The changes witnessed in this, the heart of the former Yugoslavia, have been overwhelming: poetry has responded with passion, imagination, and verbal/rhythmic inventiveness, providing the Anglophone reader with a brave new world of poetic experimentation—an urban poetic landscape as distinctive as it is rich in history and tradition. The editors Biljana D. Obradović, writing from New Orleans, and Dubravka Djurić, writing from Belgrade make a perfect combination: together, they initiate us into a sophisticated poetry that will surely influence our own ways of writing. Where will you find Serbia but in its poetry? The nation has been a crossroads, but it also has been the site of a diaspora, so that today less than half of all Serbs reside in Serbia proper, only two-thirds in the seven former nations that once made up Yugoslavia, more in the US than in Croatia. And Serbs have felt the full force of history. The poets here were born between the end of the Second World War and the death of Tito, and have lived through civil war, indiscriminate killing and the breakup. Yet for a community with roughly the population of Pennsylvania, this is an amazingly rich & diverse generation of poets. The book is both shockingly happy and shockingly sad, sometimes in the very same texts. It feels like the poetry of a nation as large as the globe. And as current as a painting by a cat. This generous anthology will introduce dozens of contemporary Serbian poets to an American audience who will be astonished by its riches. The combination of historical truth-telling with whimsical charm is distinctive and unforgettable. I feel immensely grateful for the hard work of the editors and translators who have created an accessible, well-informed, and compelling volume. It offers a "Dictionary of Breathing," a "Sonnet of Dead Owls," and poems about "Mr. Accident" or "Absentminded Neighbor Hegel" — who can resist?